Editor's note: Reza Marashi is director of research at the National Iranian American Council. Trita Parsi is president of the National Iranian American Council and author of A Single Roll of the Dice: Obama's Diplomacy with Iran. The views expressed are the writers' own. 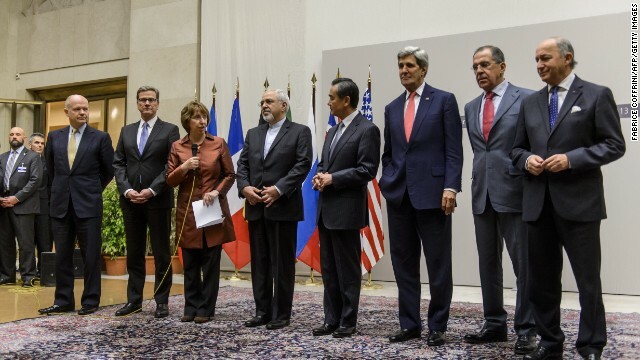 The United States and its allies are now preparing for the home stretch in their nuclear negotiations with Iran. And, as they approach the finish line, it will be critical for insightful voices to help the Obama administration parse through difficult issues that remain on the negotiating table. Kenneth Pollack – a top Clinton administration official and senior fellow at the Brookings Institution – recently took to the pages of the New York Times to do exactly that. He correctly notes in his op-ed that a comprehensive deal verifiably ensuring the peaceful nature of Iran's nuclear program will be enormously beneficial. Ken is our friend and one of the sharpest minds working in Washington today. That's why we hope to use his New York Times op-ed as a launching pad for a broader dialogue about what the details of a comprehensive nuclear deal with Iran should look like. He rightly points out three critical issues that will make or break our negotiations with Iran: inspections of Iranian nuclear facilities; creating mechanisms to ensure Iran doesn't cheat; and the duration of a final deal. However, we believe the contours recommended in his op-ed would risk creating such an imbalance in the deal that it would incentivize the Iranians to cheat, and by that turn a diplomatic win into an embarrassing fiasco. Editor’s note: Tyler Cullis is a policy associate at the National Iranian American Council. Jamal Abdi is policy director at NIAC. The views expressed are the authors’ own. The United States could be on the verge of securing a historic agreement over Iran’s nuclear program, one that verifiably limits it and opens the door to further cooperation between the two countries. Yet with a diplomatic victory on the horizon, the rhetoric of those who have long opposed any diplomatic resolution is reaching dizzying heights of disingenuousness. During a recent Senate hearing, Senate Foreign Relations Committee Chairman Robert Menendez (D-NJ) hit out at reports that negotiations with Iran may produce a deal that “only” extends Iran’s nuclear breakout timeline to 6 to 12 months. “I don’t think we did everything that we’ve done to only get a six to twelve month lead time,” Menendez lamented as he grilled Secretary of State John Kerry over the progress of the talks. Editor’s note: Des Browne is the former U.K. Secretary of State for Defense. Michael Shank is the associate director for legislative affairs at the Friends Committee on National Legislation. The views expressed are their own. 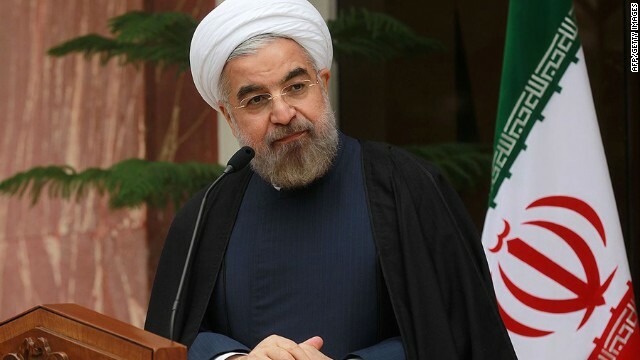 Iran has begun implementing the Joint Plan of Action over its nuclear program. 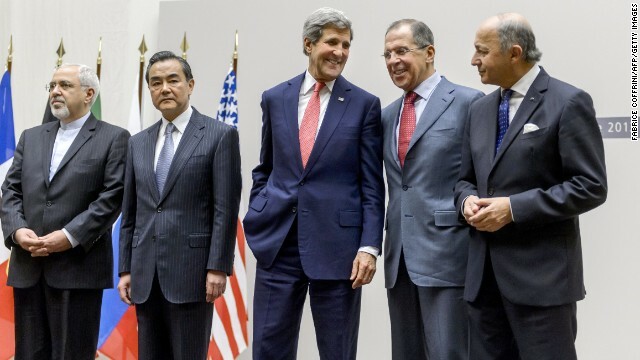 The United States and Russia are cooperating in the destruction of Syria’s chemical weapons. And the Nobel Peace Prize was awarded late last year to the Organization for the Prohibition of Chemical Weapons for its “extensive efforts to eliminate chemical weapons.” The past few months have clearly underscored what can be achieved when the international community works together on weapons of mass destruction. But while the response to Syria’s use of chemical weapons and Iran is laudable and should now be leveraged to strengthen international law, treaties and monitoring mechanisms more broadly, the reality is that newer challenges are evolving even as the international community works to get a handle on longstanding threats. And although these threats come in a variety of forms, there are two in particular that will require the same kind of concerted effort. The magnitude of the threat posed by the weapons of choice from the 20th century and 21st century are striking. 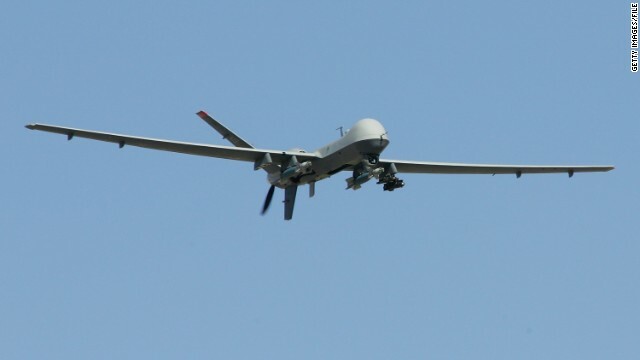 Whether it is an armed, unmanned drone that could even carry tactical nuclear arms or be turned into a dirty bomb, or offensive cyber capabilities, consider how increasingly easy these potential weapons are to utilize, how a growing number of countries want their own capabilities in these fields, and how difficult they can be to monitor and regulate. Editor’s note: Maseh Zarif is deputy director at the American Enterprise Institute’s Critical Threats Project. The views expressed are the writers’ own. It became apparent during negotiations last year that the administration was ready for a deal that left Iran with considerable options in developing a nuclear weapon. The “first step” agreement did nothing to force Iran to address weaponization-related activities or its pursuit of ballistic missiles, which could serve as delivery vehicles for a nuclear warhead. And over-reliance on Iranian cooperation with the International Atomic Energy Agency will be another problem. Indeed, Tehran just postponed a forthcoming meeting with the IAEA on weaponization questions. 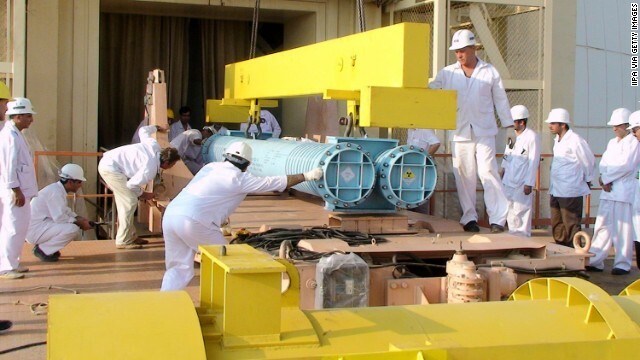 Uranium enrichment and other related projects will continue unchecked, despite officials’ arguments that Iran’s nuclear fuel cycle activities would be halted in significant ways. Indeed, a senior administration official conceded this week that the testing and feeding of advanced-generation centrifuges will be allowed under the deal’s implementation plan. The Iranians will, as a result, continue to improve their ability to produce enriched uranium more efficiently. Editor’s note: Matt Stumpf is director of the Asia Society’s Washington office. The views expressed are his own. 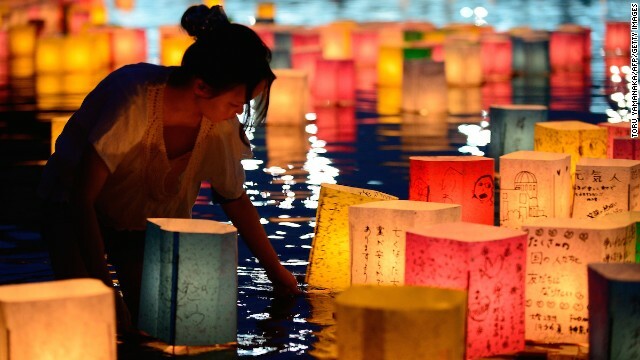 This is the fourth in the '14 in 2014' series, looking at what the year ahead holds for key countries. If diplomacy is at times the act of building ladders for your opponent to climb down, rarely has a country needed it more urgently than North Korea today. The leadership in Pyongyang spent 2013 destroying the last rungs of the teetering ladder built by the Six-Party Talks in the mid-2000s. So, it enters 2014 on a ledge, and there are no obvious ways down. North Korea finds itself in an ever-more precarious international situation after a disastrous series of decisions in 2013. 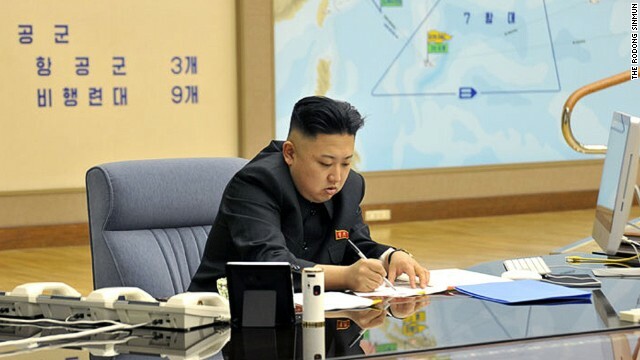 Not long ago, reasonable analysts saw inklings of North Korean interest in economic reform. As early as the first days of the new leadership in January 2012, North Korean officials reportedly said: Kim Jong Un was “focused on a ‘knowledge-based’ economy and looking at economic reforms enacted by other nations, including China.” As late as January 2013, Google Executive Chairman Eric Schmidt’s visit suggested that North Korea might believe the country could not prosper while isolated. CNN speaks with Fareed about the failure to reach a deal at the weekend over Iran's nuclear program, and why some countries are so opposed to an agreement. This is an edited version of the transcript. So what is your take on all of this? The talks fell apart over the weekend. What's your take? Well, remember, this was always going to be hard. The United States and Iran haven't talked since 1979. There hasn't been any kind of deal on the nuclear program for ten years. But it seemed to me what happened was they almost got too close too quickly. There was a sense in which it seemed like the deal was going to happen and then a number of countries that have problems – Israel started lobbying from the outside without even knowing what was in the deal, and then, most centrally, France decided to break ranks. Very strange move, publicly breaking ranks. The French probably have a number of motives. It's always fun for the French to be anti- American and to distance themselves from the Americans. They're also trying to signal to Saudi Arabia and the emirates, the Gulf states that don't like Iran, that they are the tough guys here. Because France has a lot of commercial business, particularly arms business with Saudi Arabia. So there's a whole bunch of motives there. But I think it was largely because we got so close faster than anyone thought we would. It's difficult to know what to make of the failure to arrive at an agreement between the West and Tehran over Iran’s nuclear program. The high level talks have ended, and negotiations are scheduled to resume at a lower level in 10 days. Secretary of State John Kerry's comments seemed the most sensible. "It was always going to be hard to arrive at a deal with Iran when the mistrust was so deep and had gone on for so long," he said. But what was remarkable was the tone of the negotiators as they broke up. 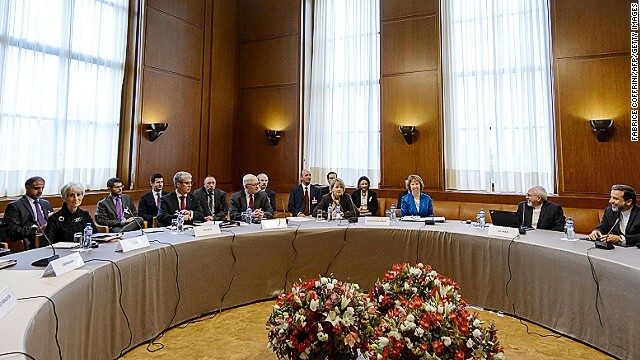 Both the Iranians and the main Western negotiator, Catherine Ashton of the European Union, were positive and constructive, believing that much progress has been made. Editor’s note: Michael Rubin, a resident scholar at the American Enterprise Institute, is the author of Dancing with the Devil, a history of U.S. diplomacy with rogue regimes. The views expressed are his own. U.S. Secretary of State John Kerry returned to Geneva on Friday amidst speculation that marathon talks might yield a nuclear deal, or at least an agreed framework for future talks. Should the two sides come to an agreement, both the State Department and the White House will hail the breakthrough, even as they caution that they will re-impose sanctions should Iran violate the deal. That would be an empty threat. As North Korean leader Kim Jong-un, Syrian President Bashar al-Assad, and Palestinian President Mahmoud Abbas can attest, diplomats don’t abandon a process once begun. 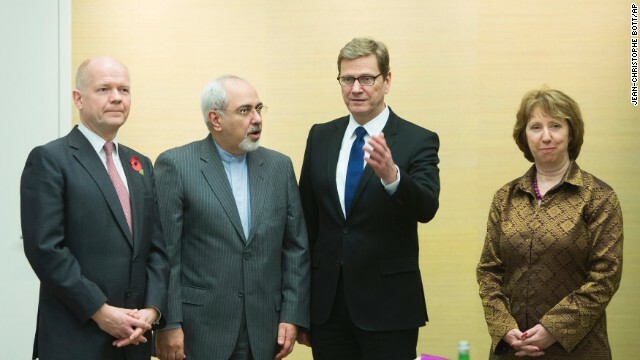 The Iranian nuclear portfolio has stymied diplomats for well over a decade. The Iran issue was the first crisis outside the borders of Europe on which the European Union took the lead. EU officials hoped to show that diplomacy and multilateral organizations could be more successful than cowboy unilateralism. The crisis accelerated in 2005 when, after several warnings, the International Atomic Energy Agency (IAEA) found Iran in non-compliance with its Nuclear Non-Proliferation Treaty safeguards agreement. The diplomatic center of gravity then shifted to New York, where the U.N. Security Council passed a series of resolutions, many by unanimous vote, imposing increasing sanctions on the Islamic Republic. Both the United States and European Union augmented these sanctions with increasingly broad unilateral measures targeting both Iran’s oil industry and its currency. Collectively, the sanctions had effect. Editor’s note: Kelsey Davenport is the nonproliferation analyst for the Arms Control Association. The views expressed are her own. 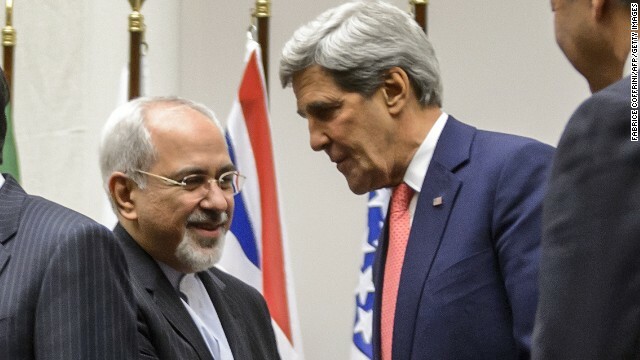 For the first time in years, Washington appears to be on the path towards a deal that will guard against a nuclear-armed Iran. But to achieve that goal, America must speak with one voice. Our representatives in Washington must actively support our diplomats and actively avoid undercutting them at the negotiating table. After two days of talks in Geneva, there is good reason to hope that Iran, the United States, and five other world powers are on the path to an agreement that will end the decades-long standoff over Iran’s nuclear program.